Guangzhou, the capital of the Guangdong province, is a city of 14 million people in the south of China, just northwest of Hong Kong. It’s considered the birthplace of dim sum and what was once an area of factories and industry is now a tech hub at the base of the Pearl River Delta. 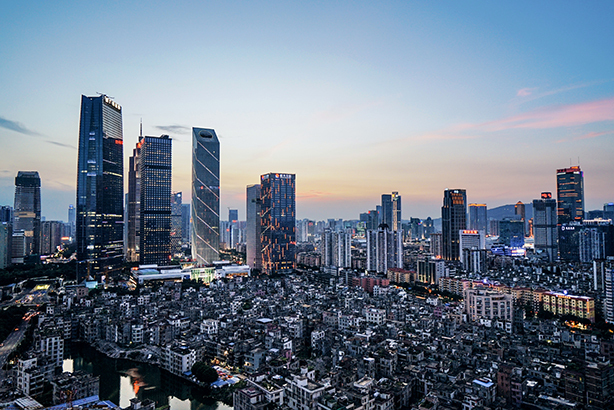 Guangzhou is now the third largest city in China and the largest city in the South. Emily Situ is the general manager of the RF Thunder’s Guangzhou and Hong Kong offices. She says that many companies and, therefore, agencies, have been moving their headquarters to Shanghai or Beijing in the last few years, away from South China. As a result, that leaves a tall order for the PR reps left in the area. "It’s challenging for PR because clients in South China will request that PR companies help in sales, not only in forming impressions and reputation," Situ says. But with that challenge comes a lot of opportunity for RF Thunder. "We not only offer developed traditional PR and media relations, but now we work together with the marketing teams on the client side," she adds. In addition, Situ says that working in Guangzhou has another advantage. She refers to the city as the "door to the outside world." In other words, when international companies want to explore Chinese markets, Guangzhou is often their test market before expanding into capital cities Beijing and Shanghai. This new way of doing business has just come to light in the last few years as the economic policy in the region has made South China a friendlier environment for international players. RF Thunder’s clients are about 50% local companies from Guangzhou and 50% international or from other regions of China. Situ explains that the agency has quite a bit of competition, since it is vying for both international and local clients. Fleishman-Hillard, Weber Shandwick, Devries Global, and Edelman are among the agencies that have been in the area for a number of years and Cohn & Wolfe recently opened an office in December. Many local agencies are small with only one or two clients in the same industry. RF Thunder has clients that span different industries and countries. "It’s very risky to rely on one client," she says. When it comes to finding employees, Situ says it’s always difficult to find smart people that have great potential. In addition, the South China market is not as developed as Beijing or Shanghai and doesn’t attract as many talented people. However, the company looks to local universities and has a rigorous internship program to train young people interested in PR. "Many young people think it’s an easy job and an opportunity to meet celebrities," she says. But RF Thunder quickly fixes the gap between expectation and real life, explaining that PR is not all glamour, but instead it’s a tough job "doing the work from behind the scenes." When clients come to RF Thunder offices in Guangzhou, they are always eager to check out the local sights. Situ recommends two very different spots: Canton Tower and Litchi Bay. Canton Tower, located in the modern section of the city, is the tallest building in Guangzhou and the tallest TV tower in Asia. The tower features the highest revolving restaurant, highest open-air viewing platform, and highest horizontal ferris wheel. Litchi Bay is located in the traditional part of the city. "It is the name of a set of creeks and lakes that flow southwest to the Pearl River. There are many historical relics and historical architecture in Litchi Bay," she says. "Various cultural activities are held on Litchi Bay, such as the competition of Cantonese opera. And you can enjoy a lot of traditional Cantonese street food such as dim sum in the area.